Designed with families in mind, our new stylish and comfortable Bach will be perfect for your next holiday. Featuring four bedrooms; two queen, one with an en-suite; a bunk room sleeping four; and, a fourth with two single beds. Fully equipped throughout, you and your family or guests will be sure to enjoy all this holiday home can offer. A very well equipped kitchen with breakfast bar, large eight seater dining table and two living areas. Outside there is an eight seater table perfect for those long summer evenings on the large deck or if you are staying in the winter you will be kept warm with both heatpump and log burner. The kids can watch a movie in the family area while the adults enjoy a hot toddy by the fire. DVDs for adults and kids, books, games etc are all provided. Netflix fans can log onto their account via Apple TV. There is a Nespresso machine, just bring your own pods, there is a grinder, plunger and stove top to make sure you can always get your fix. Tucked in the garage is a pool table along with both washer and dryer. High speed fibre internet completes the package. 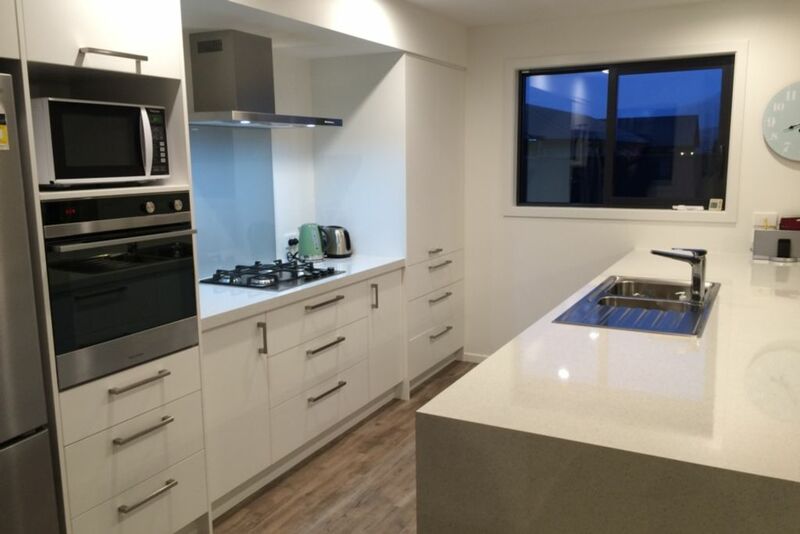 Just a short five minute drive from Wanaka, 10 minutes to Lake Hawea and easy access to both Cadrona and Treble Cone ski areas. There is an abundance of walking and mountain bike tracks in the area for all levels of fitness and ages. A two minute walk away is the communal swimming pool (heated in summer), spa and gym facilities which you will have access to. Opposite the house is a large green area if more space for a kick-around is needed. There is a children's playground only a short distance away. There are two cafes within walking distance, as well as the Prince Albert Tavern which has a great fish and chip shop. Aso located in the same area is a French Patisserie and a Four Square. The Clutha river is nearby for swimming or kayaking and with Wanaka only a five minute drive away, you can make the most of all this holiday home has to offer. Please contact us if you have extra children (above 4 people) and we can apply a reduced rate. We live in Dunedin, about three hours away, and this is our family holiday home. We are both professionals and love the relaxation offered by our stays in Albert Town. We have two young children and we like the playgrounds and cafes within a short walk, as well as being close to the Prince Albert pub and the local fish and chip shop. We have created spaces for adults and children to unwind separately. As we build the house we designed it to work for two families as we often like to holiday with other families who have young children. There is a large heat pump in the living room. As is normal in Wanaka, the bedrooms do not have separate heating but the house is new, so insulated and with double-glazing. Double garage with pool table - there is room for one car to park. The switch to open the garage door is located by the internal access door. White towels and facecloths are provided with linen hire. Extra towels are available in the cupboard for the spa, beach and so on but these need to be washed and returned before you leave. This is located in the communal facilities a two minute walk away. There is a large log burner which provides a lot of heat. Wood is in the garage for guests use. Large fridge and freezer with water cooler. We leave non-perishable items in the pantry and guests can use this, and feel free to leave non-perishables too. We have provided an extensive range of dishes and utensils, everything we like to have in the house. There are many books which can be borrowed or switched. There are a range of games in the house. There are some toys and jigsaws, including a swing ball for the garden. There are a few DVDs available for both children and adults. There is a lovely big deck at the back of the house. Located just a two minute walk away - in lovely facilities. This is heated in summer. Property was great and handy to Wanaka. Only 1 roll of toilet paper in each bathroom and the T.v. had been disconnected and there was no instructions as to how to get it going again. Great kitchen and sleeping arrangements with plenty of room Will book again. Lovely big home. We had an awesome time. Very tidy modern house in excellent (Albert Town) location. The house was fantastic everything was there! The house was fantastic everything was there! The added bonus of the key for the shared pool facility was awesome.